Many of us are into home makeovers quite often, and thinking about it, it’s not just about going on shopping sprees, or bringing in some changes, it’s also about finding the trends that are just as impressive in style as they are in functionality. There are just as many furniture options for the interior as for the outdoors, but unlike shopping for indoor furniture, you have to pay attention on certain properties when purchasing furniture pieces that would have to endure the weather conditions. 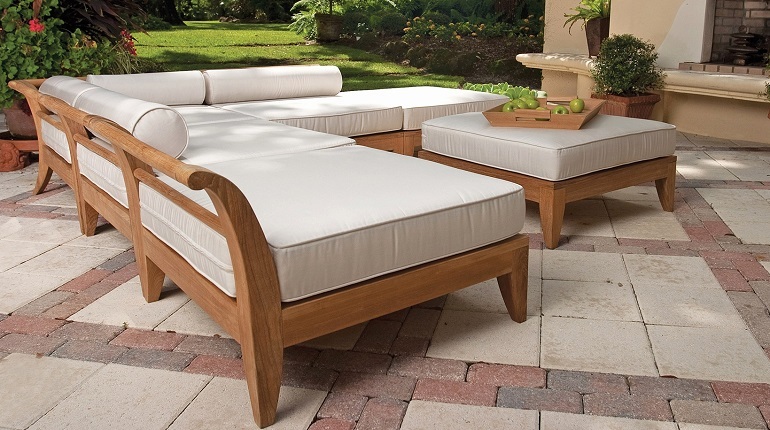 Speaking of properties, you can’t overlook teak as the ideal material, and the wide range of furniture pieces such as teak outdoor coffee tables, with chair sets, benches, and lounges (anything you need for indoor relaxation extended outdoors, and entertaining), in a variety of designs and sizes, so you’re sure to find the match for your area. Although teak furniture is surely going to bring a sense of luxury to your home, perfect to fit any home style, you’d be glad to know it’s also affordable, and easy to maintain. This has to do with teak’s density, and natural oils, making it naturally resistant to mould, and rot (meaning it can withstand the Australian weather), as well as insect infestations. Since it’s in teak’s nature to protect itself, weathering over time (if exposed to weather conditions year round, and left untreated) doesn’t happen same as with other types of materials. For instance, teak outdoor coffee tables, in their prime honey brown colour, go to patina grey colour over time, equally beautiful. Applying finish or sealant is a matter of style, and not a matter of extending the teak’s durability, so it’s not exactly part of your maintenance chores. When it comes to maintenance, a bit of removing of dust and dirt does the trick with a cleaning solution of dishwashing soap, and gallon of water, applied with a soft brush, rinsing with fresh water and allowing the teak to dry. In case of stains, like those of wine a bit of sanding may be needed, or at least a special teak cleaner to make sure you don’t do more damage than good. Wanting to restore the old colouring, you can still manage it, even if you haven’t applied a finish or sealant. All you require is a brightener, finishing off by rinsing afterwards, as well as lightly sanding the surface making sure to work in the grain’s direction. What also makes teak furniture stand out is the fact most of it is made of FCS certified grade A plantation teak, so along with good quality, you can be sure on sustainability too.